The flexible, adaptable approach to any project. a project, without the risk of never delivering or an unexpected mismatch between business requirements and system functions. Scrum is the most applied agile method in the world. A changing world demands a changed approach. As Darwin realized many years ago, “It is not the strongest of the species that survives, nor the most intelligent, but the one most responsive to change.” This truth is still applicable to the business world of today. 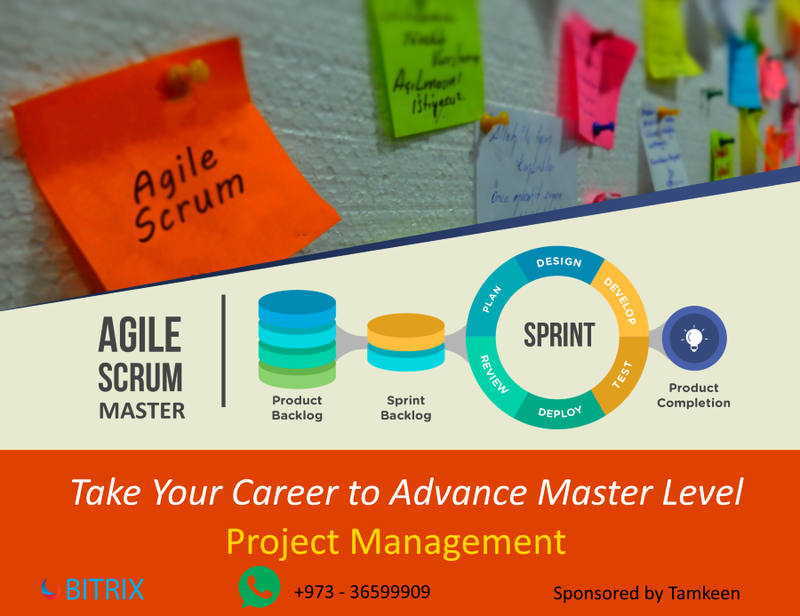 Agile Scrum program is aimed at professionals in the fields of Complex intelligent IT project management, software development, business management and IT service management, in particular for those that are leading or participating in changes and complex projects. Agile Scrum maximizes intelligent and transparency. The flexible way of working allows for changing (business) demands. Testing is integrated throughout the project so that quality issues can be detected quickly. Combines agile methodologies and scrum practices. It can be applied to projects of all types, and combined with any Project Management framework or methodology. Companies can respond faster to changing market conditions. Improves organizational efficiency and customer satisfaction. Intelligent Business and IT alignment. The project transparency; clearly defined roles, interaction and flexibility. Successful participation in Agile Scrum projects. The Scrum Master is responsible for ensuring Scrum is understood and enacted. Scrum Masters do this by facilitating the Scrum Team in adhering to Scrum theory, practices, and rules. In order to do this, the Scrum Master role struggles with the apparent contradiction of the Scrum Master as both a servant-leader to the team and also someone with no authority. The Scrum Master is responsible for maximizing the throughput of the team and for assisting team members in adopting and using Scrum. A successful Scrum Master influences other, both on the team and outside it. The Scrum Master helps those outside the Scrum Team understand which interactions with the Scrum Team are helpful and which aren’t. Agile Scrum Master is a certification that looks to confirm both skills and knowledge of the Agile framework and Scrum methodology. The Agile way of thinking is best known in the field of software development but the principles are increasingly being applied in other types of projects. Scrum is the most used Agile methodology and is suitable for all professionals looking to keep their knowledge up to date with the latest developments in the fields of intelligent IT and Complex Project Management, particularly those leading or participating in projects. In particular, the certification is suitable for professionals working in an Agile context and who have the ambition to facilitate a Scrum team by assuming the role of a Scrum Master. The Rules and Regulations for EXIN’s examinations apply to this exam.